Jay & Jay remix Soulja Boy & Drake’s “We Made It”. Jay Z even took a jab at Drake on the record. Today is J. Cole’s 29th birthday and as a gift Jay-Z gave him his orginal Roc-A-Fella chain on stage at MSG. Today (Dec 4th) happens to be both Jay Z’s birthday and the 6th anniversary of Pimp C’s death! In honor of Jay-Z’s 44th birthday here are some songs from/featuring Jay-Z. 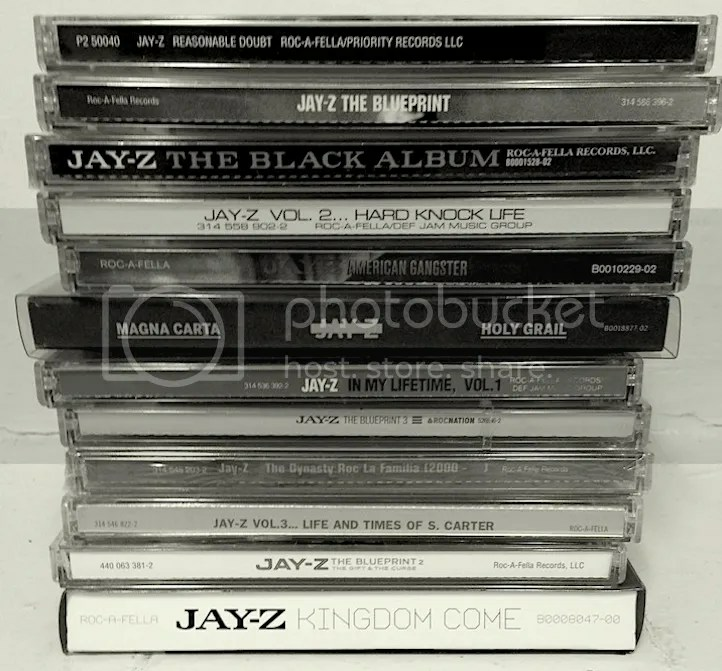 Comment with your favorite Jay-Z song or feature and I might add it to this post. Jay Z takes time out on his bday to reflect back on his music career and rank his solo albums. Check out the pic and list above to see how he ranks his albums. Do you agree? How would you rank his album? Leave your comments.